An Underground Classic Recording Finally Released! Amazing yet easy to learn card magic can now be yours. 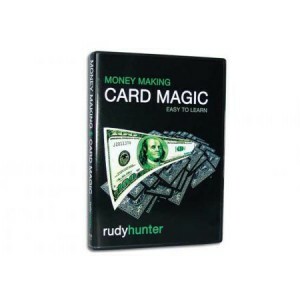 Join card expert Rudy Hunter as he shares all of his powerful card secrets that have earned the money throughout his career. Powerful card magic that is easy to learn is all here on this step-by-step DVD.